Posted on May 1, 2013, in Fashion, Pop/ Hip Hop Culture and tagged clothing, hip hop, jordans, michael jordan, sneakers, t-shirts. Bookmark the permalink. 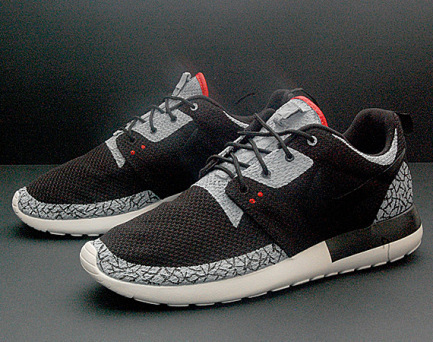 Comments Off on NIKE ROSHE RUN – AIR JORDAN III BLACK/CEMENT INSPIRED CUSTOMS.